Book blogs are different but they do have one thing is common, they share book reviews. And this means you're letting us, the readers, enter into your heads. Which is great, we get to know your thoughts without the superpowers! Sometimes, though, some extra powers are needed to write a good book review. We are curious what are your writing tips. Below we share several of ours plus several places on BookLikes to visit to add your reviews on BL. 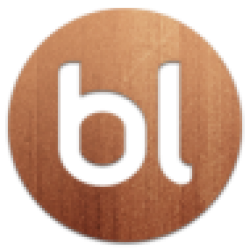 The following tips may be useful for regular BookLikers and BL newbies - welcome welcome :). 1. Read the book. You need to be reliable, writing about the book without actually reading it, isn't a review. 2. Think. Digest. Mull over. Sure you can write a second after you've finished the book but that extra time will bring new thought and a new perspective. 3. Focus on things that made you happy/unhappy, really touched you, shocked, made you ponder. Don't post the book's synopsis, the review is about your subjective point of view, all the plot twists can be read. 4. Connect. Relate. Refer. If a book, an author or a writing style reminds you of a different piece of writing, brings up a metaphor or a past memory write about that. This will add an extra value to your review. 5. Trust yourself. Sometimes you're not sure how you feel about the book and it seems that all the people around don't follow your doubts? So what? Remember, it's all about You here, be honest, be bold. You are the reader, so the review is yours and doesn't have to follow the trend. 6. Write. Close the document. Leave it for a while. Go back and check if it's OK. Sometimes the perspective can change multiple times. 7. Share. Post on BookLikes and your other websites and profiles. 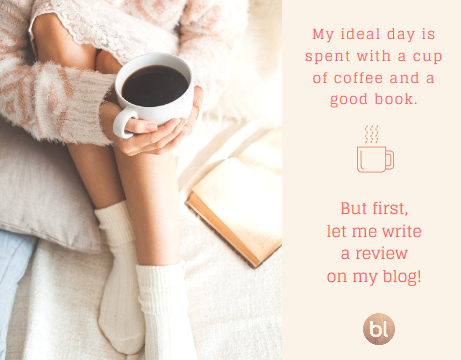 If you had any doubts about writing a review on BookLikes, we do hope these tips will solve them all. Visit these places to add your texts. Can't wait to read them on! Whenever you click on the book cover on BookLikes (like, anyplace), the pop up will appear. To add a review click +Post and Text. This will move you to the editor window ready to be filled up with your words. To mark your text as a review, please remember to tick the review on the right side bar and select the star rating (you can also add half stars). Otherwise, the system won't recognize the text as a review and your article won't show up on the book page or a Dashboard review view. The book cover visible on the upper wooden bar will be added to your review automatically on the left side of your text so you don't need to add the cover image. You can add any other images or gifs inside the text to complement your text and show your emotions towards the book. All you currently reading books are visible on the right side of your Dashboard so it's a really easy access to publishing your next review. The moment you finish up your read, go to your Dash and click Finished!, add the reading details (dates, starts, shelves, emoji) and click Save and write a review . You will be moved to the editor window where you can add the text. The stars and emoji will be transferred and the cover will be added automatically inside your review. If you're happy with the outcome, make it online. b) with only one click switch to table view and press add a review. Then follow the procedure from point 1. Writing a book review from a book pop up window. The review box on the right will be ticked, remember to add the rating stars. Did you know that you can add a review from the public blog pages? Yes, you can! Now whenever you end up on the blog's page hover over the book cover and click +Post and then follow the drill from point 4. Writing a book review from a book page. When you explore the reading lists (main menu -> Apps -> Reading lists) and you spot a book from your review to do list, click +Post and Text and follow the steps from point 1. Visiting the book club (main menu->Apps_>Book clubs) doesn't need leaving it to write a review. 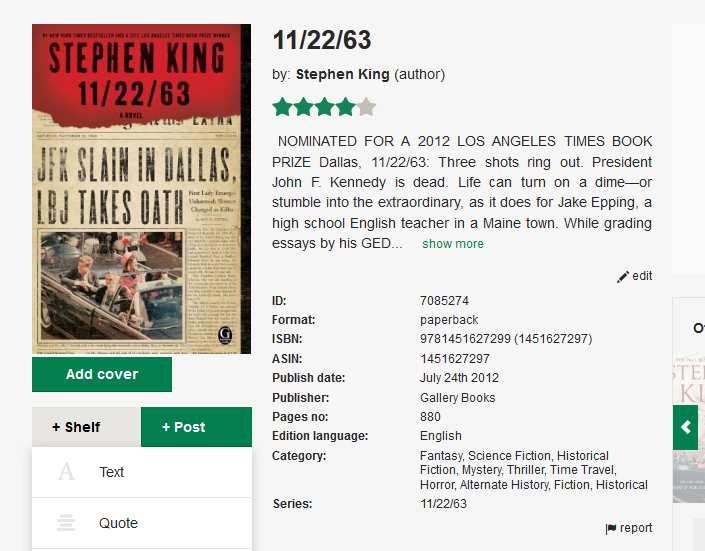 Hover the pointer over the book cover and you'll see the book pop up. Then press +Post and Text and follow the drill from point 1. - cross post -- you can post to your social profiles and other blogs; before doing that, please check if you've connected the pages in your settings and click the icons to make them green=active when publishing online. You can also save the text as Draft. It will be saved in your draft space (Blog-> Drafts) and won't be published until you edit the post and update the post date. Writing a review can be tricky, it requires practice, practice, practice. So don't hold your horses - read& write! What is your book review writing drill? Share your writing tips in the comment section below. Curious how others are doing? To view recently reviewed books on BookLikes, go to the book catalog page (menu->Book catalog) and click the book cover to be moved to the book page with the BookLikes community review list.